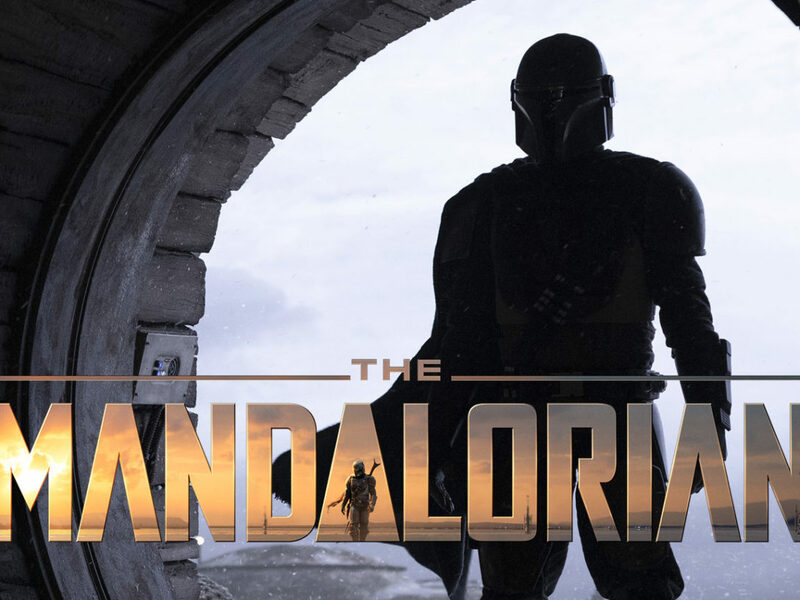 Anakin and Obi-Wan have been duped and are being held for ransom along with Count Dooku by the pirate chief Hondo Ohnaka. Meanwhile, the Republic sends the ransom via a special envoy, including Representative Jar Jar Binks. It would appear there is no honor among pirates — We’re looking at you, Turk Falso. But among Force wielders? It’s a mixed bag. 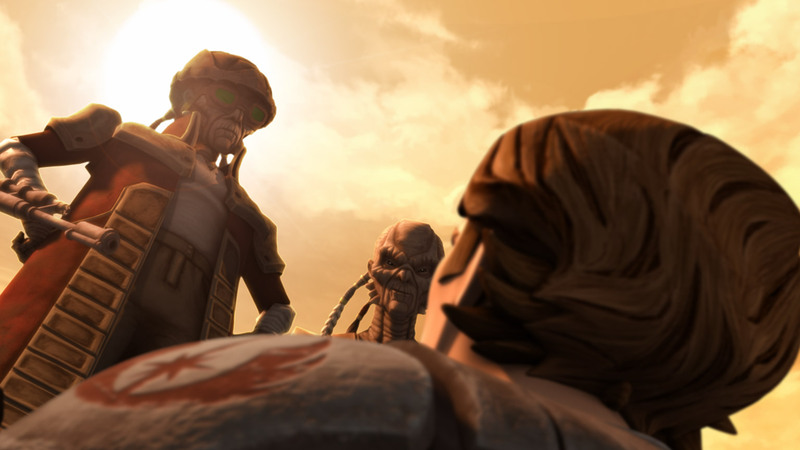 Obi-Wan has plenty of reasons to strike down Hondo and fight his gang. 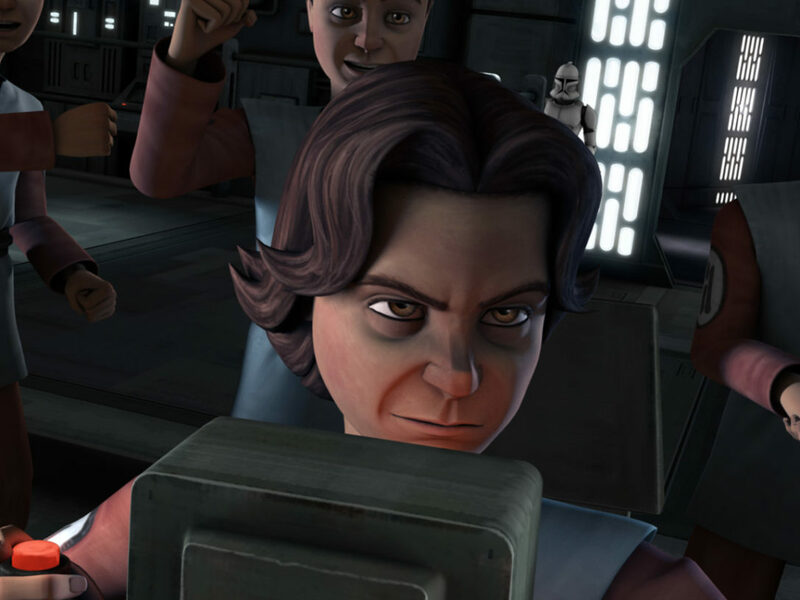 He’s been duped, drugged, and imprisoned, shackled to his apprentice Anakin and the dreaded Count Dooku. But when he and Anakin finally get the upper hand, he readily walks away. 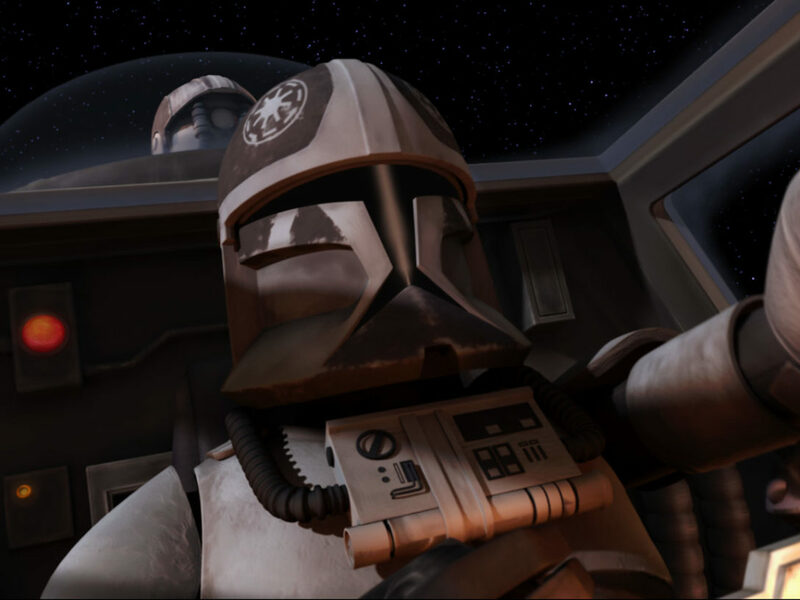 “We have no quarrel with you and we seek no revenge,” he says simply, allowing Hondo to not only live but remain free. 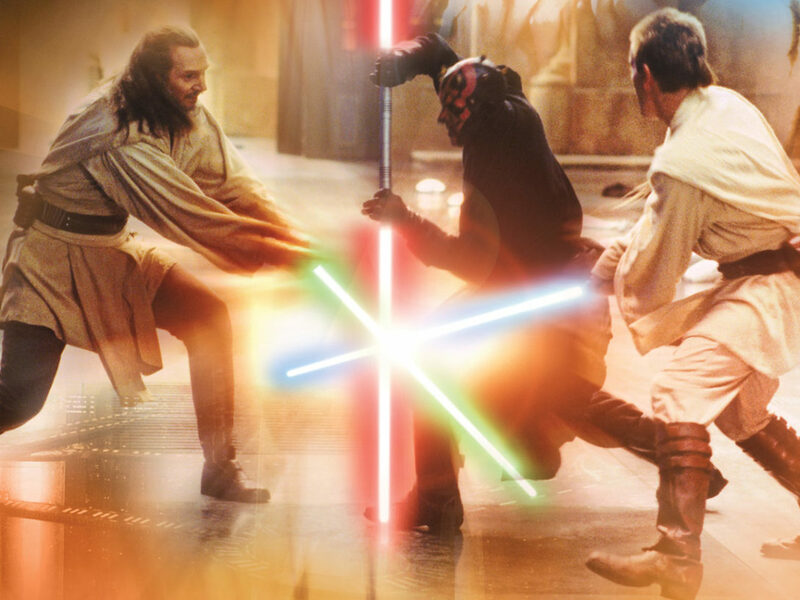 His stance is perfectly in line with the Jedi teachings, but it takes Anakin by surprise as he holds Hondo within inches of his lightsaber blade. Whether he intends to kill him or take him prisoner is up for debate. At this stage, probably the latter. Even given the chance to see Dooku potentially fall to his death, through no fault of their own, Obi-Wan grabs Dooku by the hands, jeopardizing his and Anakin’s chances of escaping in the process. It’s unclear if it’s his desire to do what’s right or a more tactical strategy at play. 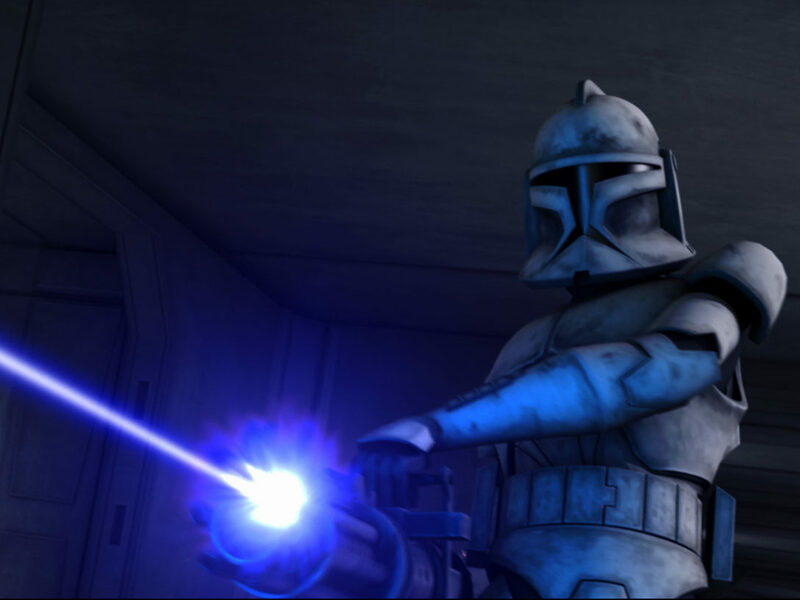 After all, this whole mission did start off with the Jedi’s own foiled plot to capture Dooku. 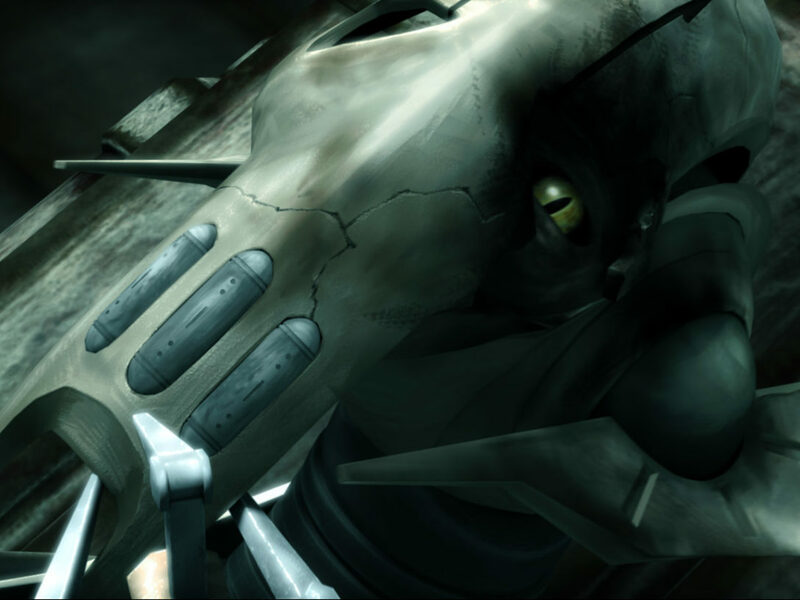 Obi-Wan is honorable, but the Jedi are not above kidnapping the enemy in this time of war. Dooku, meanwhile, holds up his reputation as a disgrace to the Jedi teachings. While he’s shackled to Anakin and Obi-Wan, he reminds them that he would kill them where they stand if it didn’t mean he’d be weighed down by dragging their bodies around. And when he does get free, any pirate in his path gets executed wantonly as he makes his escape. He’s no Jedi, but we would be remiss if we didn’t point out the other honorable one in this episode: Representative Binks. 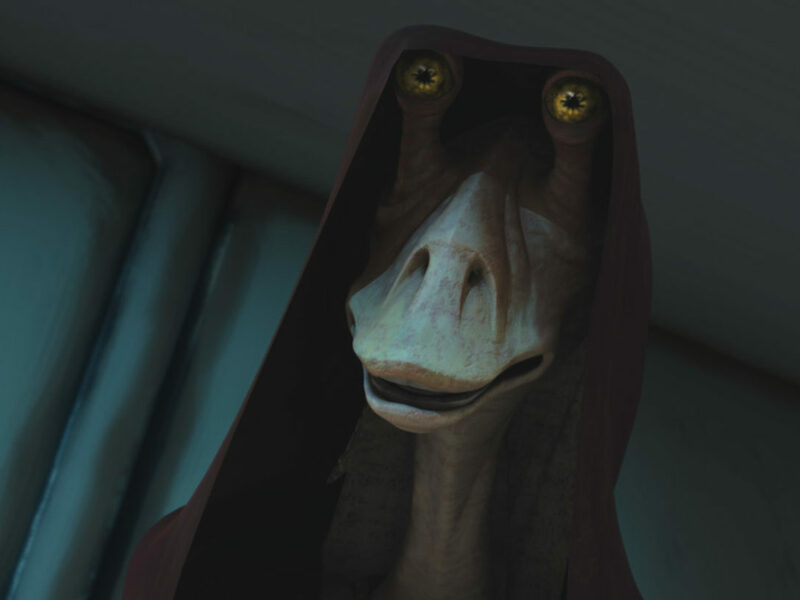 Jar Jar once again proves he has a good heart, taking the time to honor the fallen senator who saved his life moments before their ship crashed, and leading the survivors to rescue his friends. An Easter egg in this episode pays homage to Indiana Jones, which also famously gave a nod to the galaxy far, far away on film. In this case, the top of Senator Kharrus’ staff has a striking resemblance to the head of the Staff of Ra from Raiders of the Lost Ark.